The Soul Train awards took place on Monday November 30th and one of the biggest stories of the night came within ten minutes of the show. 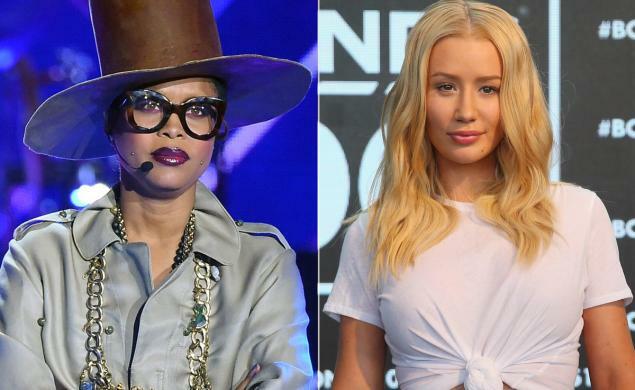 Host and soul legend Erykah Badu playfully puts Iggy Azalea on blast when explaining that no rappers are invited to the show that celebrates soul music, she pretends to take a call from Iggy who she invites to the show insisting what she does is “definitely not Rap”. Its been a tumultuous period for Iggy after facing a backlash for a number of dubious remarks, she was publicly humiliated when mentor TI suggested he would not be working with her anymore live on Radio. The Soul Train awards show saw Babyface receive a lifetime achievement award, While Weeknd and Uptown Funk shared 2 awards a piece. Check out the awards on BET throughout the week.